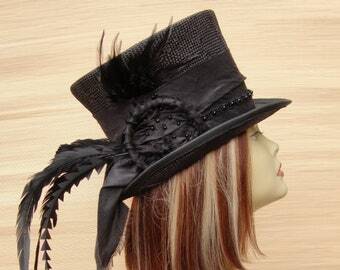 Brown tweed mini top hat, percher hat, decorated with cogs and gears and pheasant feathers. 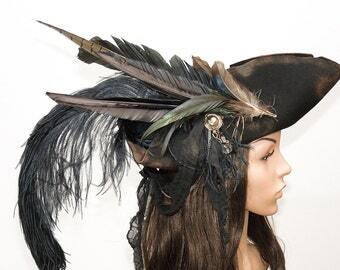 Steampunk hat, Millinery, Country style, rustic. 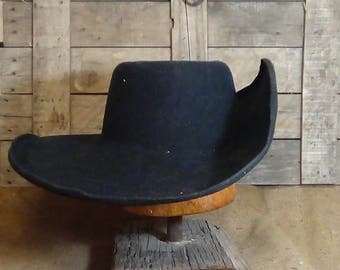 STTHBA - Black Wool Felt Top Hat in sizes 55-61cm circumference.